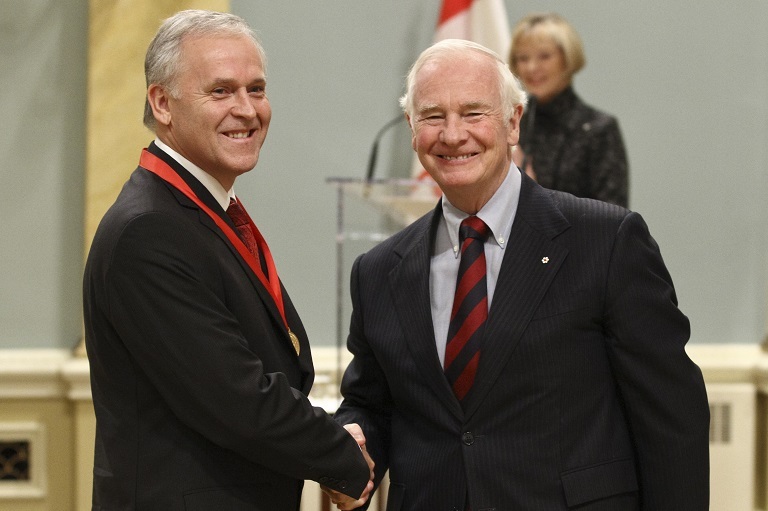 Raymond Bédard accepting his award at Rideau Hall, 2011. The goal of Mr. Bédard’s Objects of history project is to invite students to identify ten objects manufactured before 1960, found in their everyday environment, and to prepare a brief description of them (i.e. price, purpose and uses, origin, provenance, materials, etc.). Students must then select one of these objects and complete a comprehensive technical and historical analysis of what this object tells us about society at that time. The research project consists of three parts: the history of the object; the evolution of the industry or area to which it relates; and a description of the period when the object was in use. For a time, students take on the role of museum curators to assess the historical value of old objects. Using library research and interviews with members of their families, the students slowly build evidence for their analysis. Guided tours at the McCord Museum and the Musée des Beaux Arts de Montréal are used as a starting point for this project. Young people discover how a collection of artifacts and works of art are featured in a museum context and become familiar with proper procedures for documentation and analysis. Students are encouraged to consult with their grandparents so that they become more aware of the role (small or large) that their elders have played in history, and demonstrate their significance as a source of information to develop a better understanding of their past. To conclude the project, a large exhibition of all the objects entitled Exp OH! is held in the school cafeteria. The objects are grouped into different categories to create a temporary museum in the school, where students present their subject to the rest of the school as well as to parents and invited guests.